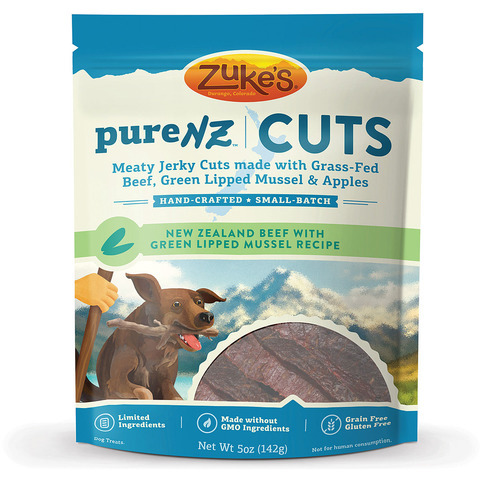 From free-range, grass-fed beef to the power of the green-lipped mussels, adventurous dogs are in for a treat. Each recipe contains regionally sourced ingredients from the lush pastures and pristine coasts of New Zealand. And once Zuke's gathers all the delicious ingredients nature has to offer+óGé¼GÇ¥proteins, fruits and vegetables, they hand-craft each recipe in small batches for +óGé¼+ôfarm-to-dog" quality and freshness in every pouch.